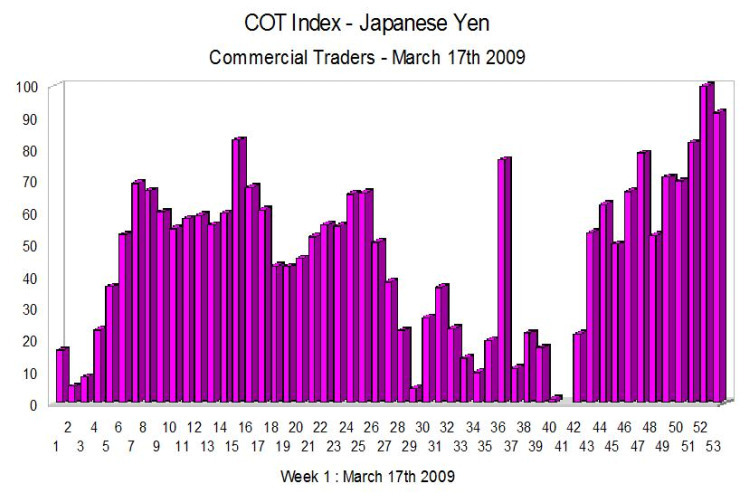 The COT data chart for the Japanese Yen paints an interesting picture especially as we are approaching Japan’s year end. In the last 2 weeks we have seen the index approach an extreme with values below 5 which always tend to suggest a turning point based on the commercial traders’ futures contracts and this would suggest that we are about to see a strengthening of the Japanese Yen in the spot currency markets and in particular in the dollar yen pair. Whilst we have to be careful not to use the COT index as a timing signal it does provide excellent background information to the direction in which to trade in the medium to long term. All the latest fundamental use can now be found in the economic calendar.